Bring to life the story of Moses in Egypt with these colorful and attractive visuals! Moses lived a long time ago but the lessons he teaches us continue to live on today. 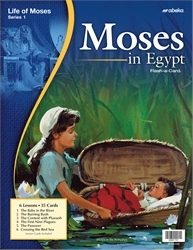 Make Bible time a favorite as you teach the lessons of Moses with these picture cards. 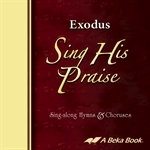 Carefully crafted drawings make the story of Moses and his journey ever since he was a baby to the crossing of the Red Sea come alive for your child.